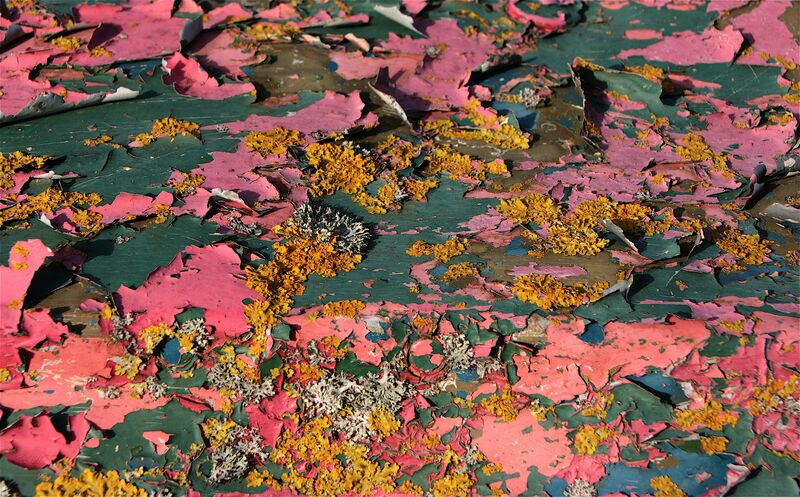 Patina – the visible signs of age on the surface of a material – is generally valued as a positive form of decay, and is manifest in a panoply of material forms: distressed wood, weather-beaten stone or brick, faded wallpaper, well-worn textiles, rusted ironwork, to name but a few. Whatever form it takes, patina signals the desire for a visual sign of authenticity, that is, material imbued with a history that speaks of ‘natural’ processes accrued over time. Paradoxically, in many cases, these visual signs of ageing are achieved very quickly and forcibly; hence, the widespread criticism of patina as yet another symptom of the post-modern obsession with surface at the expense of ‘authentic’ depth. Yet, patina can also be interpreted as a critical form of visuality. 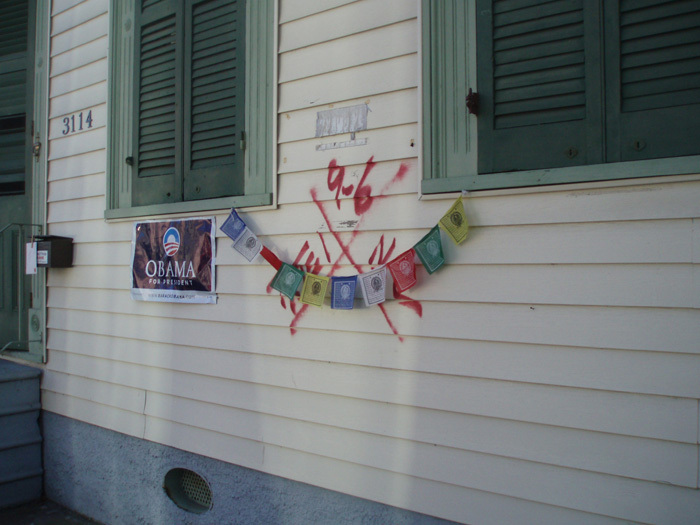 In a recent talk at the University of Manchester, archaeologist Shannon Lee Dawdy focused on the meanings of patina in the buildings of New Orleans, pre- and post-Katrina. The devastating hurricane of 2005 created so-called ‘Katrina patina’ – the characteristic residue left by saline water that overwhelmed New Orleans for weeks after the city’s flood defences were breached. 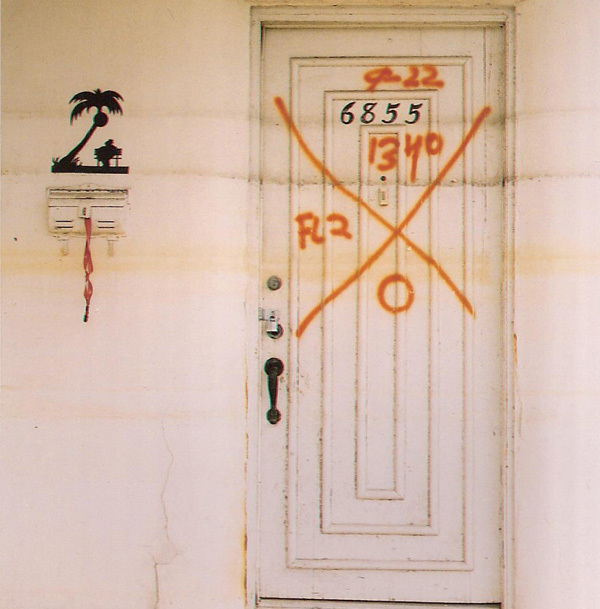 Today, amidst the ruins of nearly 6,000 homes in New Orleans, many of the city’s renovated domestic buildings still have a large letter ‘X’ on their exteriors; in the immediate aftermath of the hurricane, rescue personnel spray-painted the letter ‘X’ on all buildings to indicate that they had been evacuated. Many returning residents chose to conserve rather than erase these letters, which have become known, according to Dorothy Moye, as ‘Katrina crosses’. Here, patina functions as a memorial to a natural disaster. It is the architectural equivalent of the post-traumatic symptom, showing us the trauma of the past as it reverberates down into the present. By displaying the ‘wound’ inflicted by the trauma, this patina has the potential to contribute to the wider work of future healing in New Orleans. Patina straddles the space (and time) between construction and ruin. It is always an ambivalent form of materiality because any attempt to stabilise its meaning effaces the essential nature of patina as process. Therefore, the meaning of patina lies in its instability; as with ruins, patina represents a fragment that suggests the meaning of the whole (as in the case of New Orleans’s x-marked buildings). The latter suggests a way out of the condemnation of patina as a superficial form of materiality. 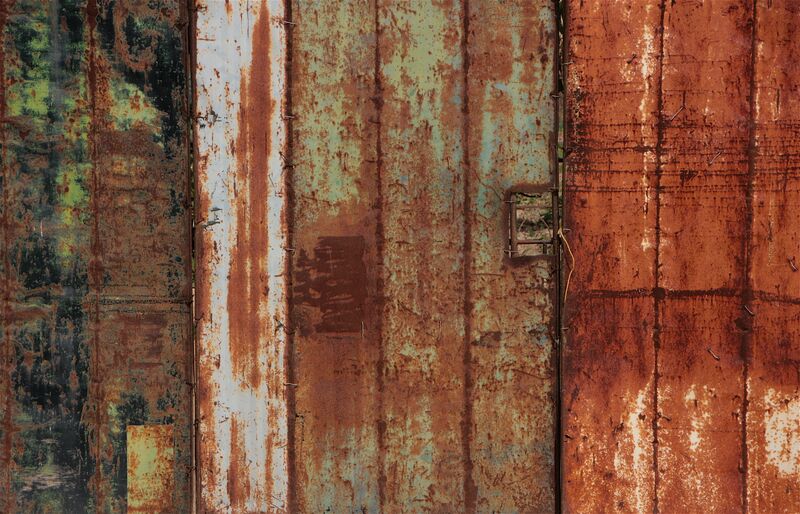 Patina, whatever form it takes, has the potential to deepen the meaning of surface as surface. The examples in New Orleans also suggest (contrary to patina’s detractors) that intentionality is key to patina’s critical visuality. Perhaps it’s not the aestheticising of surface per se that is at issue but what we choose to do with that aestheticising. In the case of Katrina patina, it is clear that the material surface has the capacity to expand the field of architectural meaning, to hold together contradictions, to manifest historical depth, and to contribute to the ongoing work of remembrance and healing. Thanks Luke! I’m still pondering on Benjamin’s notion of the ‘real’ in ruins (and probably will for a very long time). Benjamin’s ‘real’ apprehended in ruins is essentially tragic, but somehow beautiful and life-affirming at the same time. But it also tends to be very generalised, leading away from the material and historical specificity of the ruin.